4. Insert your color name. 5. Click on ‘Add New Colors’ button. 6. 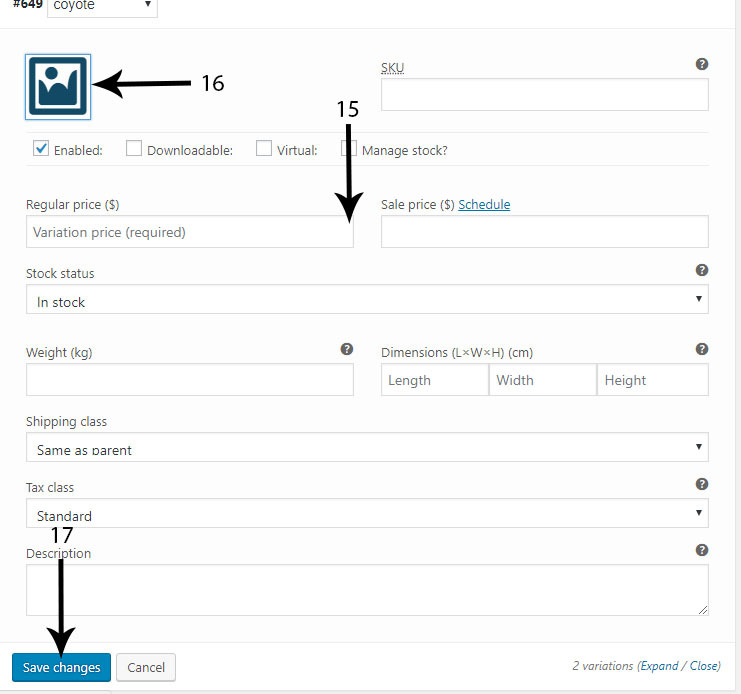 Go to Add New Product/Edit Product after that select ‘Variable Product’. 7. After that select ‘Attributes’. 9. When you click in ‘Value(s)’ field all the color attributes that you had saved will show select the one which you want to show. 10. After that check ‘Used for variations’ and uncheck ‘Visible on the product page’. 11. Click ‘Save Attributes’ to save it. 13. Select ‘Create variations from all attributes’ and then click on ‘Go’ button. 14. After clicing ‘Go’ this will show take mouse to the right hand side bottom arrow will appear click on it. 15. From here you can add price for this color. 17. Click on ‘Save Changes’ button to save the changes. 18. 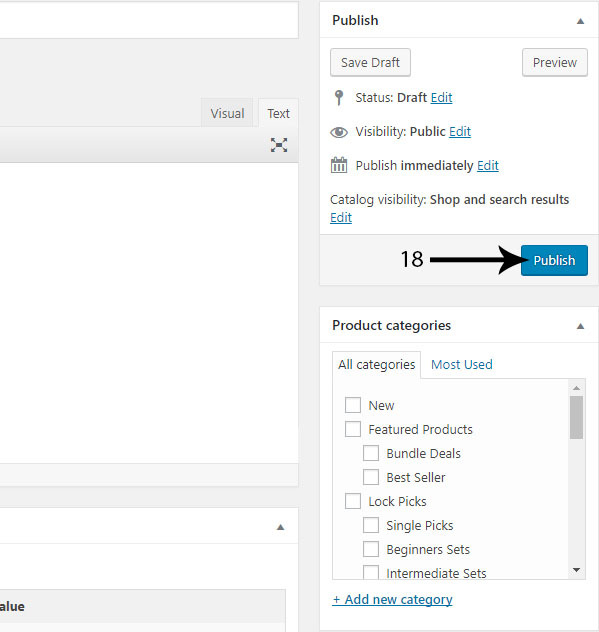 Click on ‘Publish’ button and your colour variation is added for for the product.